SPORT DEPOT improves business processes and customer service through Microsoft Dynamics NAV & LS Nav. “Microsoft Dynamics and LS Retail ensure effective operations, improved processes and control all over our business by the means of transparency and accountability,” says Mariana Anastasova, CEO at SPORT DEPOT Ltd. SPORT DEPOT is the largest sports retail chain in Bulgaria, established in 1998 and part of the global industry leader Sport 2000 International. Right from the start, the company developed rapidly renting retail space in almost every city in the country and expanded its product portfolio several times over. To satisfy the ever-changing needs of its current and prospective clients, SPORT DEPOT launched an interactive web store as well. At present, the company serves over 200,000 visitors annually, offering a lively variety of more than 50,000 items from over 180 global brands. This expansion led to an increase in the number of employees, more work, and better results. However, it also caused increased complications in the business process management, warehouse availability tracking, purchase requests, order planning, and customer service suffered. In an attempt to deal with the new challenges, the staff used a software program comprised of several separate modules for warehouse and accounting management, which were not integrated with one another. The application was clumsy, hard to work with and did not provide the necessary speed and versatility. A major drawback was that the software product could only work in an online environment. Thus, if the Internet connection to the office and retail stores was interrupted or a contingent server issue occurred, the employees had to perform all operations manually. This led to operational slow-down and less productivity. In addition, when Internet connection was restored, all the data gathered manually had to be replicated into the system, a task that not only craved extra effort but also involved the risk of data discrepancies. Matters got serious when such incidents became common practice, impeding the entire workflow within the organization. Another disadvantage was the lack of detailed accountability and accurate reports needed for strategic decision making purposes related to ordering and reimbursing suppliers, accurate store, sales and other analyses. With this idea in mind, the company’s management team initiated a research on the Bulgarian ERP market. At the same time, Mrs. Anastasova and a few of her colleagues attended “IT in Retail”, a conference organized by Intelligent Systems Bulgaria and Microsoft Bulgaria, where Mr. Boyan Martinov from Intelligent Systems presented the benefits of using an integrated retail platform. A series of meetings and product demonstrations followed, revealing the full spectrum of the advantages of Microsoft Dynamics NAV, the specialized industry solution – LS Nav, and the mobile application for remote access to the ERP – NAVmobile. “The main criteria in our quest for a proper ERP system and software integrator were proven product capabilities and the supplier’s expertise in the related field. That’s why we chose Dynamics NAV with LS Nav, and Intelligent Systems Bulgaria,” states Mrs. Anastasova. Within a few months after SPORT DEPOT started the implementation project, a number of modules had been deployed: Warehouse Management, Accounting and Finance, Sales and Marketing, Purchasing, Service – all of them ensuring effective activity management. The unified system ensured efficient sales and orders management generated through the retail outlets and the web store. Furthermore, automatic direct integration with the warehouse data was accomplished, so now when a client purchase something online, it directly enters the system as a sales order. This saves a significant amount of time and effort for the sales division. Besides, when warehouse employees receive the sales order, they process it and send requested items to the customer. Manual data entries and resulting duplications and errors are now a thing of the past. Microsoft Dynamics NAV takes proper care of the entire purchasing process. It tracks the status of items when external suppliers send goods, tracks arrivals and prepares the necessary custom documents in time. The system provides reminder options that notify about the forwarding dates, delivery dates, save expenses and possible ticket fees for late package- gathering from the customs. The Warehouse module allows for effective trailing and management of items in stockrooms, allocation in lots and bins, optimal logistics management through the “Optimal itinerary” option, items discharge, etc. With LS Nav, all activities within retail stores and the relationship with headquarters are securely managed. With its rich functionalities, the specialized retail solution enables SPORT DEPOT to organize and execute loyalty programs, maintaining accurate information on each customer and bonus points earned; discount levels; offerings of special concessions according to purchases made, and so on. LS Nav also provides possibilities for various promotional and other marketing activities. With the integrated modules, LS Back Office and LS POS, employees can oversee back office and POS operations like issuing invoices via receipts, documents print and many more. NAVmobile – a mobile application providing remote access to the ERP – enhances warehouse process optimization and preserves detailed data on the location of items at lot and bins. With the solution, the warehouse employees’ daily tasks run faster and much more effectively. NAVmobile supports operations in both online and offline mode, providing a quick and secure access to database. “In the process of collaboration with Intelligent Systems we were ensured that their team possesses the necessary expertise and experience to provide high-quality services and effective solutions for various business cases. We strongly appreciate their professional attitude and responsiveness, so we are confident that choosing them to be our preferred partner was correct,” shares Mrs. Anastasova. 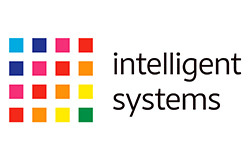 Intelligent Systems is an LS Retail partner and one of the leading business software consulting companies on the Balkans, serving more than 250 customers, many of them in the retail industry. Their customers include brands like Marks&Spencer, Celio, Office 1 Superstore, LC Waikiki, Sport 2000, CBA and many more.